Captain Rayford Steele is thinking about having an affair with flight attendant Hattie when she tells him that around fifty people have disappeared from their commercial flight. His wife was religious and he begins to realize they may have been taken by the Rapture. Cameron "Buck" Williams is an ace news magazine reporter begins seeing a move toward a one world currency and the rise on a young smooth talking Romaninan named Nicholae Carpathia. We follow these men as they deal with the chaos that has resulted from millions around the world disappearing. 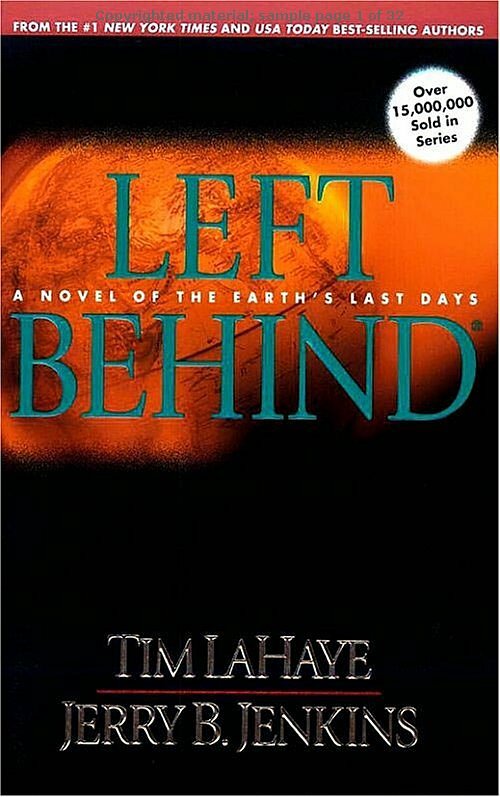 I'm gonna catch hell for this review, but doing a religious apocalyptic novel was a must. Plus I had this lying around. LaHaye and Jenkins display an interesting amount of dislike for non-Evangelicals in this novel. Our protagonists start as real shovenist jerks. They also seem to relish in casual blaspheming as often as they can. So often it seems forced. Also, apparently all Californians believe tabloids as though they were the New York Times, who knew? 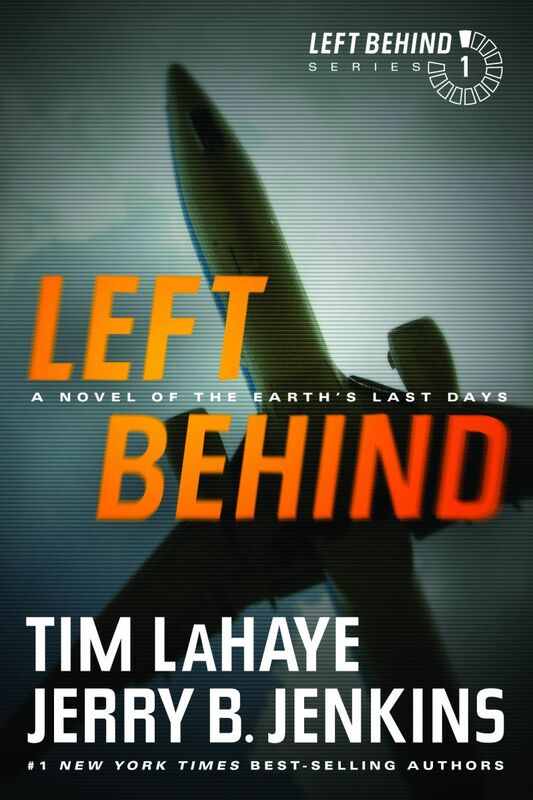 Rayford Steele is an airline captain who must deal with losing half his family. He opens the novel by thinking about having an affair. Charming. He softens after the tribulation because we can't have them have too many flaws. He seems to be the emotional pull of this story, but the book doesn't stay very consistent about it. We are given a moving description of his return home to see if his wife and son are alive, but his daughter's homecoming gets half a page. His daughter's conversion is given similarly scant treatment. Rayford seems kind of ignorant in relation to passages of the Bible as well. I get what the passages mean to the authors without the several pages of explanation they provide and then repeat. These are one of many instance that makes me wonder who this book was written for, but I'll get into that later. Cameron "Buck" Williams is a star journalist and award winning writer. Despite all this he seems to be awkward with women and not that great at staying in hiding. In one of his more charismatic passages he complains about Hattie venting to him. He's the character who gets into the risky situations, but I couldn't feel very afraid for him. Much of the writing lacks tension and it is easy to predict that he is going to be okay. Hattie is shallow materialistic stewardess who acts as a potential love interest for both our heroes. As such, she's mostly just along for the ride and built up as a more disposable prominent side character. Also, she is treated like the airhead she's written as. Chloe Steele is Rayford's twenty year old daughter. She's there to cause dramatic tension about the salvation of her soul. This is meant to be a major plot thread, but it is handled mostly by some false leads and weak explanation about her not wanting to give into her Dad's wishes too quickly. Her romance with Cameron happens as a "love at first sight" kind of deal that further served to make me believe this occurred in a strange fantastical version of Earth. One of the main plot points involves a VHS tape and VCR. They refer frequently to laptops as computers. And how long has it been since you heard a thirty year old say "cellular phone?" 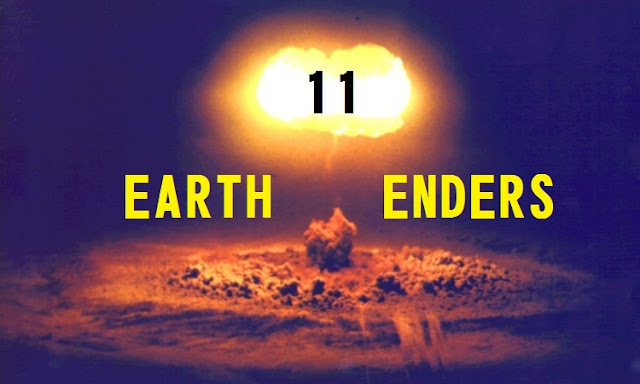 The writing is simple and straight forward and it does have some nice scenes involving the destruction that occurred as a result of the rapture. It seems that it can't decide on whether the people who have disappeared are having a significant effect on the work force or not. Rayford is needed as a relief pilot, but Hattie's sister who works at an abortion clinic doesn't think she could get another medical job. So pilots are religious, but doctors not so much? There needs to be some consistency to the devastation. The end is the only time the novel approaches any form of tension. Nicholae's first speech in the novel was almost comical to read, but it did set up the more sinister echo at the end. The thing is that this book serves mostly to set up our heroes for the following 15, that's right FIFTEEN, books. As such this one's ending is not very satisfying unless you found the "will they, won't they" become Christian game compelling. For a book that seems to want to convert skeptics (sometimes) it takes quite a few underhanded jabs at them. It seems a little strange to me that they'd take that approach. You likely will find this book offensive unless you're already a born again Christian or you enjoy comparing the Antichrist to Santa Claus. The science of the world is very B-movie sci-fi level. I know they wanted to make science sound ridiculous, but it really just tore apart the credibility of this book. I also though the idea of there needing to be a world religion before a world government to be absolutely preposterous. One does not make the other necessesary or even inevitable. I would posit that we will have a world government and still have many languages and religions long after that. So, unless you already believe the way these two do you will likely only get mad or become more resistant to what they're saying. As a book, I can't recommend it due to weak plot and lack of narrative.